The crisp elegance of a Lancaster rosette gives this forged brass Victorian hook the perfect style backdrop to an endlessly functional hook. 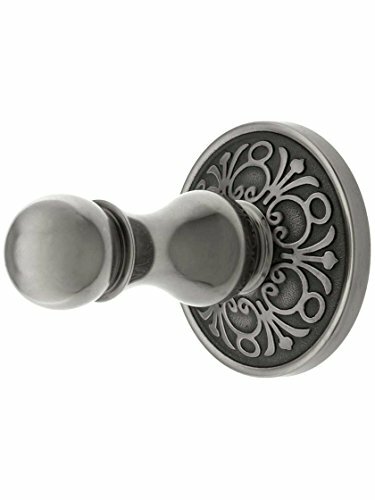 Six finishes express the design for the look that's perfect for your interior, with fully concealed mounting for clean sophistication. Dimensions: Base plate diameter: 2 3/4". Projection: 3 3/8".